The length of time your new garden furniture will last depends greatly on the quality of the material used to build it. And when you are buying thriftily, this is even more important. Because of exposure to weather conditions, garden furniture requires a little more thought than doing up your living room on a budget. So, to help you decide on the type of furniture you should think of using, I thought I would put together this guide to garden furniture materials. With any luck, it will help you choose the right materials for your outdoor space and invest with the right sort of money. Patio furniture made from aluminium is surprisingly hardy, particularly when you consider it weighs next to nothing. However, it’s fair to say that some aluminium furniture is better than others. Look for cast aluminium, rather than extruded aluminium, for a stronger structure. This will last you far longer and save you the money you will spend on replacements. 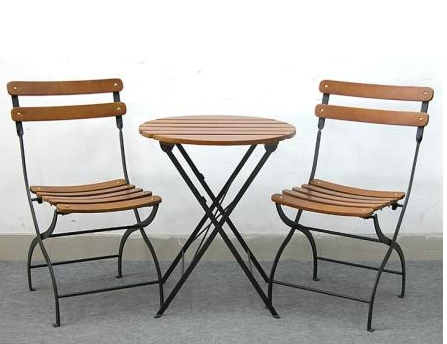 Cast or wrought iron patio furniture is incredibly strong and has a reassuringly heavy weight to it. It can last for decades with a minimal amount of care, and the only real problems with iron furniture are that it can corrode and rust. However, if you make sure your pieces have been powder-finished, it will give you some extra protection. You can find iron pieces in thrift stores or second-hand boutiques, and it can provide stunning effects in the garden. Garden furniture made from the hardwood Mahogany is strong and keeps its beautiful red color for many years. However, it does need some love and attention. Try and keep it out of direct sunlight and keep on top of any scratches or flakes that may appear. This will help to prevent your piece getting a dull appearance and keep your wood looking fresh and fantastic. Pine is a very soft wood and far less durable than other popular types of garden furniture woods. It will cost you less to buy pieces in terms of money, but will cost you more in time. The constant care and attention pine requires to stave off rot, and harsher weather conditions can be testing, to say the least! Cheap plastics might look great at the store, but will degrade over the course of a few seasons. Colors will fade, and the plastic’s structure will become weaker. However, they cost less than the alternatives and are easy to replace. You can also investigate rattan garden furniture. Rattan is a palm plant that is used to make wicker style furniture. It is surprisingly hardy and can last a long time. If you are looking to buy a new garden set while you are on a budget, it could be a great option for you. It’s cheap, durable and looks great in the summer. You may need to bring it inside during the colder months, however. Teak is the tough guy of woods for outdoor furniture. It offers great resistance to swelling, shrinking and warping. Also, because it is wood that is full of natural oils, it is very resistant to rot. 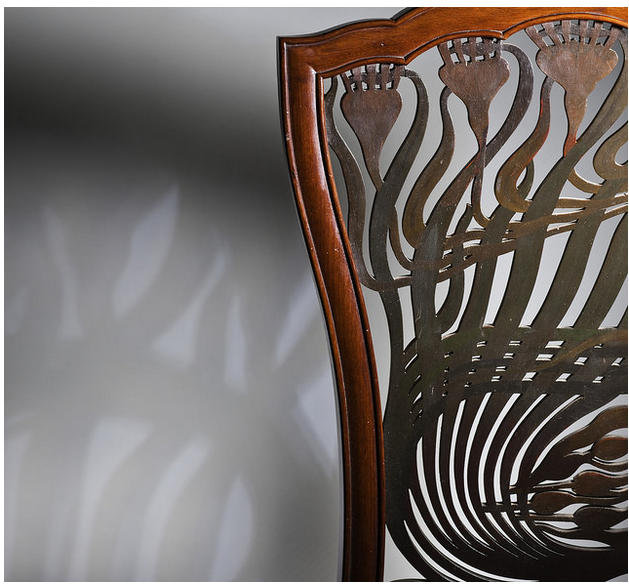 Although teak is expensive, it is easy to maintain, and can last you for many, many decades. Hopefully, that will give you a good idea on where to spend money, and where to stay thrifty! I hope you enjoy your new garden furniture! Next Article Is It Possible to Install a Swimming Pool on a Budget?